The BMW i8 is a mystical unicorn of the performance world, with a rare sort of design that’s normally found on super cars. But that’s just the tip of the iceberg, as it were, as this car is rife with sustainable technology that make it unlike any other car of its ilk, before, or since. The foremost factoid about the BMW i8 is that it’s a plug-in hybrid that does not sacrifice any of those Bavarian thrills that drivers love. A glance at the performance numbers–which sit at 357 horsepower and 420 lb-ft of twist–should drive that point home with a vengeance. But that’s not the only part of the car that’s gone green. The i8’s eye-catching exterior design is made of high-strength carbon-fiber-reinforced plastics, for a car that’s both strong, and recyclable at the end of its life. Want to get more information on the i8, or learn about ordering one? 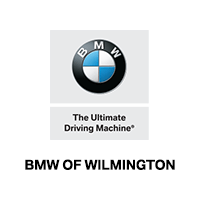 Our sales team at our BMW dealership in Wilmington, NC is ready and waiting to assist you. Contact us by phone or email, and we’ll get the ball rolling.